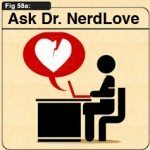 You are here: Home / Ask Dr. NerdLove / Ask Dr. NerdLove: Is She Pushing Me Into A Relationship? The issue I see here is something I’ve seen over and over again in dating – someone who’s ostensibly listening but not actually hearing what you’re saying. Occasionally we meet someone who is apparently perfect for us except for one slight, itsy-bitsy problem: we want a relationship and they don’t. The conflict arises when we don’t take that conflict seriously. After all, if we did, then that would mean giving up on somebody who otherwise ticks all the right boxes. So we try to ignore the problem. We pretend it’s not there, or that it’s not a major deal-breaker. Sometimes we pretend we’re cool with something casual – even if we’re not. Other times we assume that we can just … wait it out. We assume that just as they’re right for us, we must be right for them. So it becomes a waiting game. But we can’t quite forget that this is a one-sided arrangement… and so we try to force folks’ hands. 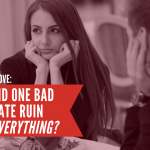 Sometimes it means that folks get passive-aggressive, treating any mention of other partners, other plans or the casual nature of the relationship with scorn or obvious disapproval. Other times people will try to backdoor their way into a relationship, dropping references to dating and future plans into casual conversation. If you don’t immediately push back, then well, that must be tacit acceptance of the relationship frame, right? This is something I’ve seen men and women do… hell this is something I’ve done in previous relationships. Problem is: it doesn’t work and it only makes everyone miserable in the process. Now I can’t say for sure that this is what your friend is doing… but it certainly seems as though she’s chosen to ignore the fact that you’re not relationship material right now. The things you describe – dropping “dating” into the conversation, texting you just to talk about your day, etc? That’s all the sort of behavior I expect to see from someone who’s moving towards a committed relationship, not something casual. 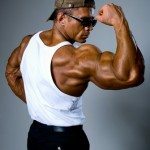 While I’m certainly not a believer in any sort of artificial limit of how many times you are “supposed” to talk to someone you’re not trying to date, the frequency and topics sound far more someone assuming a level of familiarity that you don’t have yet and – in your case – you’re uninterested in. Some of this could simply be a matter of different relationship styles. She may have a different definition of “dating” than you. She may well be the sort of person who has these sorts of conversations with all of her friends. I doubt it, but it’s certainly possible. But the only way to figure this out is – as I’m so often saying – to use your words. 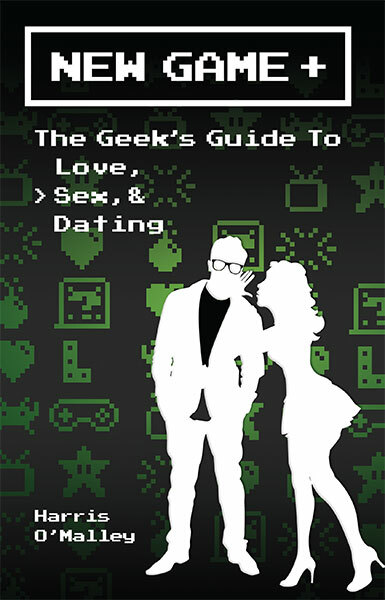 If she brings up the idea that you’re dating, then you may want to ask her exactly what that means to her. This doesn’t need to be accusatory; it’s just that you may have different expectations and you want to make sure the two of you are on the same page. 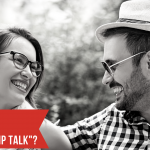 That could also be a good time to have the Defining The Relationship talk; if she hasn’t grasped you don’t see this as going anywhere long-term, then it’s time to make sure she understands that. But if she’s not willing to acknowledge that you’ve chosen to prioritize your career over dating now? Then it’s better to end things sooner rather than later. This way the two of you can be free to find people who are right for you – someone who’s looking to date seriously for her and someone who just wants something low-key for you. I’m currently in a place of frustration and stress that has been going on for far too long and I need to know if I the need the chair leg of truth or just to simply calm the hell down. To make a long story short I met this woman, who we will call Sarah a few years ago when I was, at the time, an emotional mess. I had just moved out of my parent’s house and was about a year into therapy for anxiety and depression. I had graduated from college two years prior during which time I was an overweight, high strung, nervous wreck. When I first saw Sarah I was immediately attracted to her but, knowing where my head was at, made it a point to keep things strictly platonic. I told myself I needed to expand my social circle and group of friends which had dwindled down to almost nothing after graduating from college before I even thought about having a girlfriend. Fast forward a year and things quickly took off. I’ve amassed a solid new group of friends, we’re getting together almost every weekend and I’m getting invited to countless parties and get togethers. At the same time I’m getting closer with Sarah who is also in the same group of friends but I’m still telling myself to keep it platonic. Having read your work, I’m watching for signs of interest from her and coming up empty. However, our mutual friends begin asking me if we are dating which, more than anything else, just confuses me. Why would they think that? Granted we usually end up talking at meetups and gravitate to each other but that’s about it. I brush it off as a nice compliment that hey, it must not look as awkward as I feel like it is when I’m chatting her up. Another year goes by and now Sarah and I are doing activities together by ourselves. I am also crashing on her couch after parties. My confidence has skyrocketed, I have been going to the gym regularly and my social skills overall have improved dramatically. We’re seeing each other just about every weekend and she’s always happy to see me and attend things together. The only thing that’s missing is the physicality. Now don’t get me wrong, it’s not that I don’t want to get my hands on her, I’m simply incredibly uncomfortable with physicality in general. On numerous occasions the moment is screaming to get intimate or ask for a kiss. But there I sit, instinctively acting like I have a force field around myself that prevents me from so much as giving her a hug goodbye, making me bang my head against my steering wheel in frustration as I drive home. After getting asked by mutual friends again if we are dating, I muster up the courage to ask her the same question; are we dating? When I ask her she seems just as clueless as I am. It’s clear she has simply been enjoying the time together as much as I have and hadn’t given much thought to making it serious or exclusive. We continue to talk more personal and we make plans to go on some trips out of town together. Tragedy would unfortunately strike when a family member unexpectedly dies and she had to fly home to help her siblings. It soon beacane clear she will need to move back home to take care of the house and deal with the family member’s effects. This gives us just a few months before she moves several states away. It feels like the endgame now, and from the way she is now behaving I can tell she feels the same way. She is now becoming noticeably more physical, always sitting right next to me at group functions but more importantly, much more intimate when alone. Now we’re cuddling on the couch, she’s putting her head in my lap, etc. Still, I’m crashing on the couch at night and we have never kissed. During this time I refrain from pressing her further on the relationship status since I don’t want to add any unnecessary stress on her and what’s the point? This is all coming to an end shortly anyways right? Well we continue to text and call over the next several months during which time my attention with her doesn’t waiver. Supporting this fixation is a few guys from our mutual group of friends who have essentially been shipping us. They tell me how they have known Sarah longer than I have and never saw her act the way she had around me. They want her to return and keep encouraging me to keep that goal alive. It has been close to a year now since she moved and since then I have seen her twice in between the phone calls and texts. She flew out to visit me for a few days while I was visiting a new city on business and I flew out to her house for a few days. 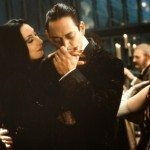 I have unfortunately failed to have the relationship talk during either trip, rationalizing that we only had a few days together and why make it serious/awkward? But on a day to day basis I feel continuously tortured by our relationship as it currently rests. Typically a week or two will pass without contact and I begin to get worried she has forgotten about me or moved on, knowing full well that 1. she is not a big texter, 2, she is busy with her job during the week and 3. each time I do call she always picks up and is happy to talk. Still, I always fall back into despair and tell myself I need to get over her before one of us inevitably texts the other and all is well with the world again. As it stands today I’m hoping she will be returning for at least a week within the next few months but it remains to be seen whether she will actually be returning long-term. So my question to you Doc is whether our relationship, as it is today, is doing more harm than good to me. Should I continue to hold out for her possible return to continue and grow our relationship or should I move on? I am currently looking for a new therapist to talk to about this as well as my clear lingering problems with confidence and anxiety. I’m not the person you should be talking to, HBTP. That would be Sarah. The two of you have been circling around one another like protagonists in a romance manga, both of you clearly interested in one another but neither of you willing to actually muscle up and take responsibility for your feelings. You both seem to have decided that neither of you wanted to take the risk of getting rejected or risk “ruining” the friendship and so the two of you just lived in that frustrating limbo where all your friends could tell what was going on but neither of you wanted to listen. But the problem is that you all aren’t in a romance manga or a romcom or a CW telenovela. In all of those, the status quo can go on forever. Two destined lovers can circle each other like planets around a star until circumstances finally force one of you to make your move. But in life, people move. And – critically – people move on. After all, two people may have the potential for an amazing relationship… but potential doesn’t mean a damn thing if it isn’t acted upon. The perfect potential relationship is ultimately less desirable than the imperfect relationship with someone who actually made a move. And the longer you won’t make a move, the greater the odds are that somebody else will. A willingness to wait for as long as it takes can be kind of sweet in movies, if you don’t think about it too hard, but it doesn’t work in the real world. Nobody is going to wait that long, nor should they. And holding out hope that she might come back? That’s just another way of saying that you aren’t willing to make your move. One way or another, you’ll get your answer. Either she’ll acknowledge the obvious and say that yes, she would like to give this a try, or she’ll say thank you but no. Either way, you’ll have finally gotten an answer and be able to move forward… either with a relationship with your sweetie, or with the freedom to finally find someone who does want to date you.